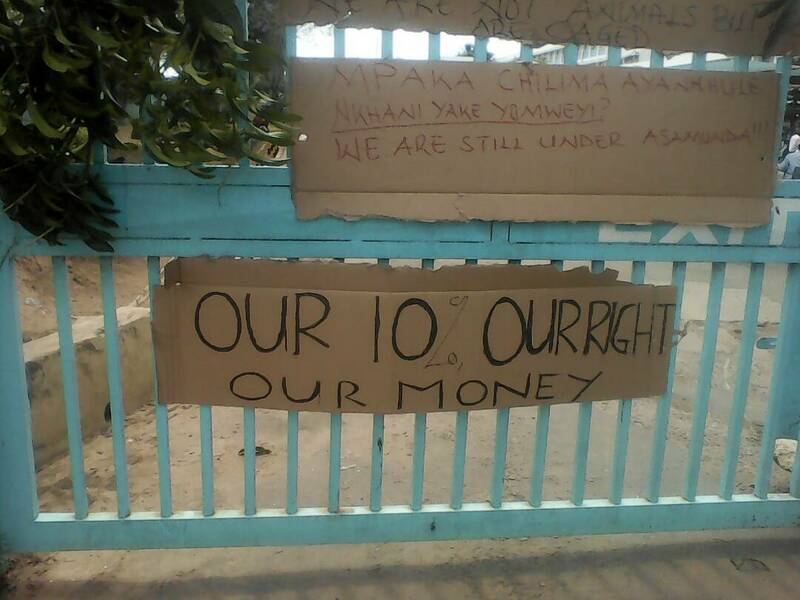 Support staff in the University of Malawi (UNIMA), constituency colleges have today started a sit-in to force President Professor Arthur Peter Mutharika’s government to effect a 10 percent salary increment, faceofmalawi can reveal. The strike is based on the 10 percent which government offered in July 2017 to all workers in statutory corporation including UNIMA. 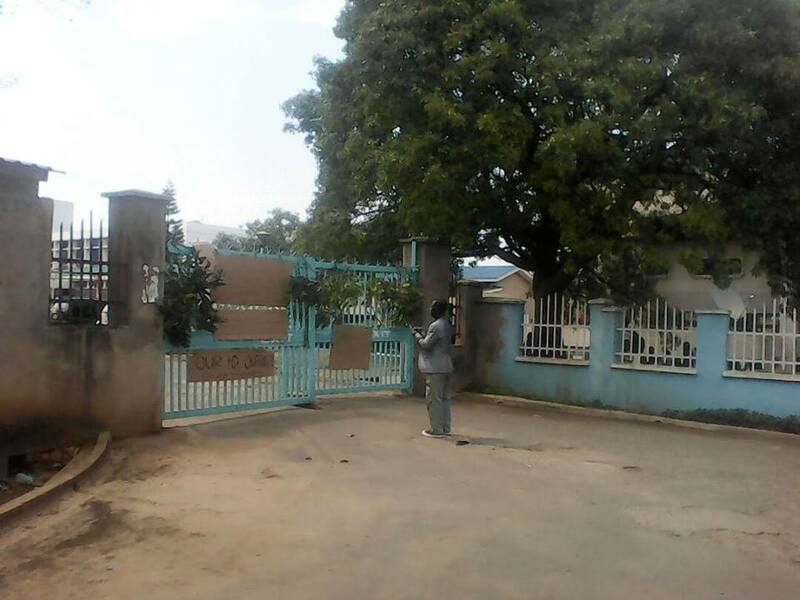 A visit to Polytechnic, one of the constituent colleges of the University of Malawi in Blantyre, faceofmalawi reporter was greeted by posters showing that the support staff are not discharging their duties. Apart from that, the support staff have closed the main entrance to the campus with tree branches. The situation is also the same at Chancellor College (CHANCO) in Zomba, according to an eyewitness who visited the campus this morning.